Cinemark Movie Tickets - SAVE UP TO 35% ON MOVIE TICKETS! 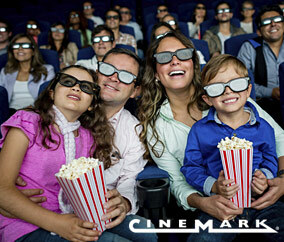 Cinemark is a leader in the motion picture exhibition industry, with over 334 theatres and 4,489 screens nationwide. Enjoy premium concessions and a state-of-the-art viewing environment so you can experience all the latest movies like never before. Save on tickets, eTickets, and dinner and a movie packages.